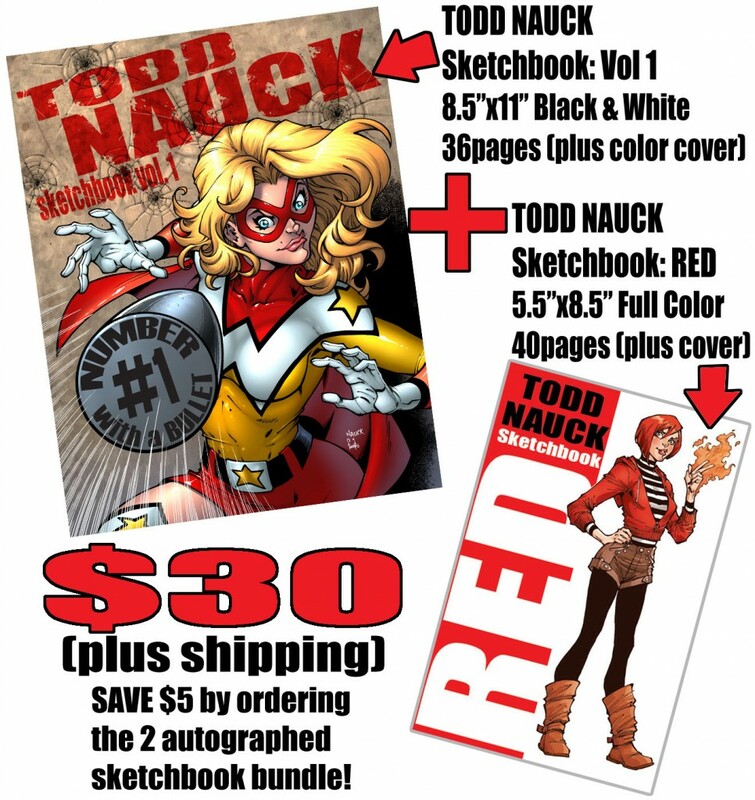 Todd Nauck Sketchbook: RED on sale NOW! READ CAREFULLY! 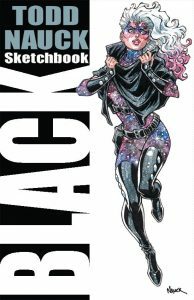 My brand new, full color sketchbook is now available for sale HERE on my site for $20 (plus shipping). Todd Nauck Sketchbook: RED measures 5.5 inches x 8.5 inches and is 40 pages (plus cover) of sketches, penciled art, inked art, Copic Marker color and watercolor illustrations of my favorite superheroes and villains on 100lb gloss paper with a cardstock cover featuring my WildGuard character, Ignacia! 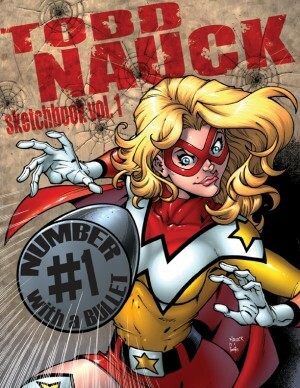 I autograph every sketchbook before shipping! Supplies are limited and no reprintings are currently planned! 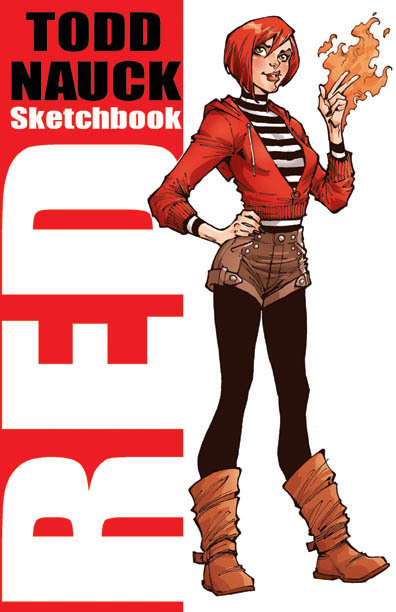 And check out the Sketchbook: RED and Sketchbook Vol.1 bundle offer! Please click the appropriate button for your location: U.S., Canada, or International in the right hand menu bar at the top of this page. Please allow 5-10 business days for orders to process and ship. 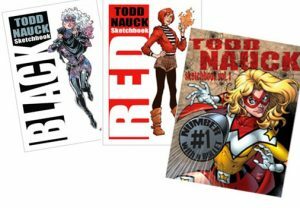 If you haven’t gotten my previous 8.5″x11′ Black and White sketchbook, Todd Nauck Sketchbook Vol 1 (normally $15), you can now order BOTH books, autographed, as a discounted bundle for $30 (plus shipping: $5 US, $10 International).